Earthquaker Devices has been building guitar effect pedals entirely by hand in beautiful Akron, Ohio since 2004. They have grown from a boutique effects pedal maker to offering a full line of 19 pedals with unique functionality and tone. They're one of our more popular pedal lines. Artists playing Earthquaker include Paul Simon, Police guitarist Andy Summers, Robbie Robertson and Coldplay. Earthquaker recently received excellend reviews in Premier Guitar and Guitar World. We support their conclusions, earthquaker is the real deal. Some of the more popular pedals include the Rainbow Machine, the Organizer (a polyphonic organ emulator) and the Dispatch Master dealy. 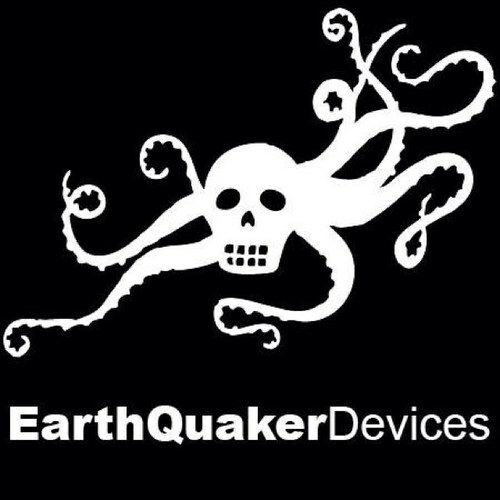 We're an authorized Earthquaker dealer. Buy pedals online, visit our Chicago pedal and guitar shop or give us a call. We're happy to help you find the pedal that's right for you.